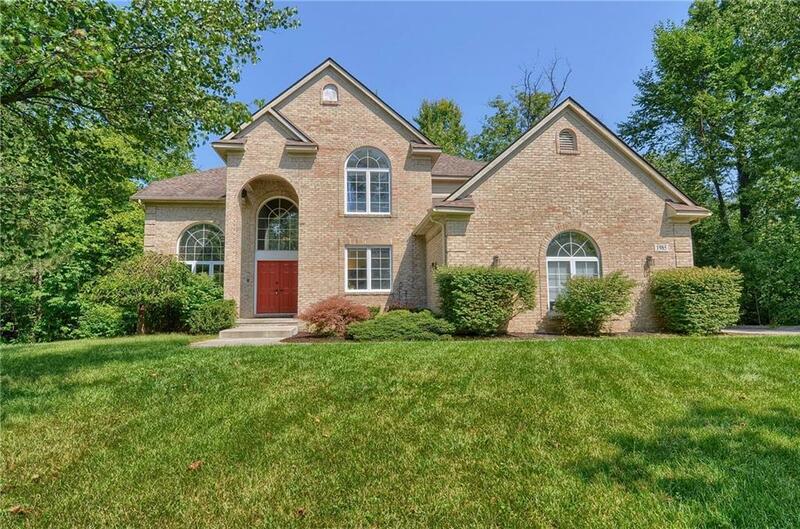 Stunning Brick Colonial Situated at the end of a Cul-De-Sac Street on Private Lot which Backs to Woods in Pilgrim Hills Estates Sub. 3300+ Sq. Ft. w/ 4 Bedrooms, 3.5 Baths. Open Interior w/ Neutral Decor & Lots of Natural Light throughout. 2-Story Foyer and Open Staircase, 2-Story Living Room w/ Soaring Ceiling & Large Palladium Window. Formal Dining Room w/ Bay Window. Library w/ French Doors. Gourmet Island Kitchen w/ Maple Cabinetry, Built-In Double Oven & Cook top, and New Fridge Opens to Family Room w/ Fireplace. Breakfast Nook w/ Door wall to Deck Spacious Master Suite w/ Cathedral Ceiling, Dressing Area w/ His & Her Walk-In Closets, Bath w/ Jetted Tub & Shower. 2nd & 3rd Bedrooms w/ Jack & Jill Bath. 4th Bedroom w/ Private Bath. Spacious Daylight Lower Level. 3 Car side-Entry Garage. Gorgeous Setting w/ Nature Views. School District is Waterford, but Residents are eligible for the West Bloomfield School of Choice Program. 1-2 Hour Notice Preferred for Showings. All M & D Approx.